Rowan Bunning is Managing Principal at boutique Agile services provider Scrum WithStyle. 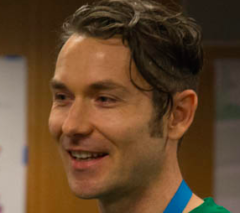 Rowan became a ScrumMaster in 2003 and a Certified Scrum Practitioner (CSP) in 2006. He was hired as an Agile Coach by one of Europe’s foremost Agile consultancies in 2007, subsequently coaching at organisations ranging from banks to global video games developers. As a Certified Scrum Trainer (CST) he has trained well over 5,000 people in Scrum across Australia and New Zealand since 2008 and has spoken about Scrum internationally since 2006.